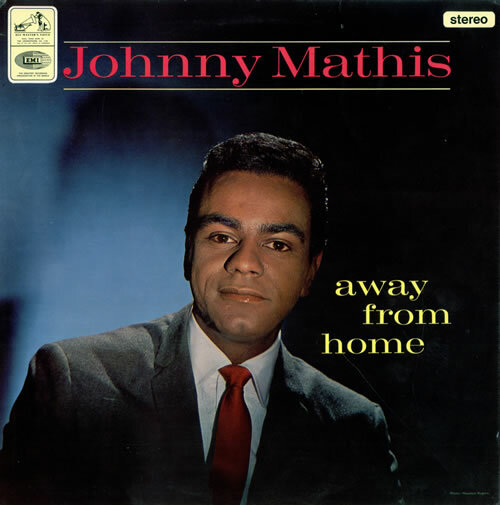 JOHNNY MATHIS Away From Home (1965 UK 14-track stereo LP on a boxed 'Nipper' His Master's Voice label, factory sample stickered to one side for promotional use prior to commercial release. The flipback picture sleeve is front laminated with a small seam split along the top edge but otherwise excellent condition with an immaculate spine and MINT vinyl! CSD1638).